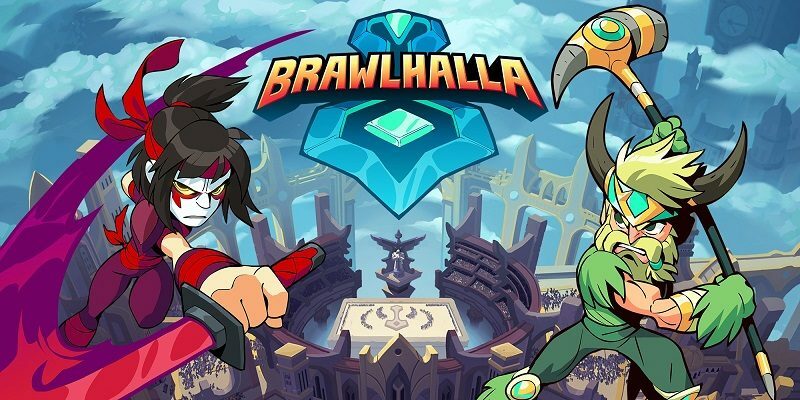 How to download updates for Brawlhalla for the Nintendo Switch? Welcome to Luck o’ the Brawl – the time of the year where you wear green or you’re gonna get KO’d! We’re celebrating the festivities with new Skins for Jiro and Sidra and bringing other lucky charms into Mallhalla for a limited time. Show off your luck with these green, orange, and gold colors. Luck o’ the Brawl will also feature a UI Takeover and +250 Gold per login! The Royal Order and Celestial Chests are available with exclusive Skins for a limited time! We’re continuing our roll out of language options on PC and appreciate those who have already submitted feedback! Korean is now an available language. If you have feedback about our language options, please submit it through this form. Dobrein for helping to improve the Russian translation. Mephi, TatataiaFurcchim, and Lucas Uchiha for their help with the Portuguese translation. Juangana, Soulthief, SQUAiR, and Magnetius for their help in improving our Spanish translation. Taise and Comesa for improving our German translation. Azatsu and Pyrokat14 for helping to improve the French translation. alfier95 for improving our Italian translation. Some of the main portions of the game are now available in: Korean, Russian, Chinese (Traditional), Chinese (Simplified), French, German, Italian, Japanese, Brazilian Portuguese, and Spanish. We’re continuing to add adjustments to the new Warshuttle Map found in Experimental Queue. Play a game on it and let us know how it feels! The initial weapon spawn has been slightly centered further. The height of the 2v2 initial weapon spawns have had their randomness removed, and the variance of the horizontal position for these spawns have been reduced. Pulled the spawn positions further in from the sides. Added a custom grab animation to Zariel’s Neutral Gauntlet. Added support for PS2 Twin Shock controller for PC. Fixed a rare bug where cancelling a “rejoin game” put the game in an unusable state. Fixed an issue where the pause screen would occasionally fail to open when using a keyboard. Fixed a bug causing certain Avatars to no longer display in the UI on consoles. Fixed a rare bug that would cause store items to be invisible until highlighted. Fixed a rare crash on Switch. “Let us dance together into the abyss!” The Enchantress enters Valhalla as an Epic Crossover with Shovel Knight and his crew! As an Epic Crossover, the Enchantress will feature Signature FX Swaps, Custom Lock-in Animation, Legend Name Swap, Icon Swap, and two new Weapon Skins. The Enchantress is an alternate costume for Fait in Brawlhalla and will be staying in Mallhalla after the event ends. Daily login bonus of 250 Gold to celebrate the Enchantress’s crossover! Our Shovel Knight themed map, Plains of Passage, featured in the Brawl of the Week. Fait’s price now reduced to 5400 Gold! For a limited time, the Celestial and Sunken Chests are available with exclusive Skins. We’re excited to continue improving and rolling out our language options. Thank you to those who have already submitted feedback! Russian is now an available language. If you have feedback about our language options, please submit it through this form. We’ve made some corrections to the Spanish translation, special thanks to /u/Juangana! Thanks to kuropapu for helping us improve Japanese localization! Some of the main portions of the game are now available in: Russian, Chinese (Traditional), Chinese (Simplified), French, German, Italian, Japanese, Brazilian Portuguese, and Spanish. Improved framerates on all platforms by preloading KO-effects, explosions, and other game images during loading screens. Console performance improvements on level selection screen. Optimized Next Level taunt effects to run better on consoles. Optimized Queen Nai’s Spear side signature effects to run more smoothly. Optimized explosion effects in the Fireworks Taunt to run more smoothly. You can now set your KO Effect to “Random”, which will then randomly pick one of your owned KO Effects at the beginning of each match that will display for the entirety of that match. Fixed a bug where the input list would sometimes point to a button other than the one that was currently being bound. The list of inputs will also no longer clip outside the controller binding window when choosing an input for a button. Fixed a crash when attempting to refund purchases without a network connection. Fixed a bug where owned Colors were not properly sorting to the end of the list on the Colors tab in Mallhalla. Fixed the News Page patch notes link to now navigate correctly to http://www.brawlhalla.com/patch. Fixed a bug causing Shin Sekai Koji’s roster icon to not correctly change during character select. Fixed upside-down forearms on Fait’s character select animation. Adjusted Taunt animations to not shift as much when transitioning in and out of their animations. Fixed a visual bug where part of the hand art in the default Taunt would appear missing. The new Warshuttle Map found in the Experimental Queue has been given a few adjustments listed below. Please try it out and let us know how it feels! Check out brawlhalla.com/test-features for more information. The player Respawn points have been adjusted to be more even. The item spawn position has been fixed as well. The Test Map Warshuttle has also been given an initial spawn for 1v1. The Warshuttle Map’s bottom kill line distance from the camera has been lowered from 1053 to 700. This week’s balance adjustments are focused on smoothing out some individually overtuned attacks that have proven to be too strong within their respective kits. Some have received greater Recover time for more counterattack opportunities, while others have been adjusted to rein in overly-powerful team combos. We have given a boost to some individual attacks that have been underperforming, while also continuing our more fundamental updates to senior Legends, with Ada receiving special attention. We have reduced the stun on the Unarmed Side Air to open a dodge window to potential follow-up attacks. This should help bring key string routes in line with the expected disadvantage of being weaponless, as their potential damage was too great during early health ranges. Unarmed Side Air: Decreased Stun from 19 to 17. A small amount of Variable Force has been added to the Down Light, as well as an increase to Cooldown on hit, in order to enable a greater degree of Directional Influence when struck by multiple instances of this power. This will allow easier escapes from repetitive team combos using this attack, while keeping individual string potential consistent through most health ranges. Lance Down Light: Increased Cooldown on hit from 11 to 16; Increased Force from 50 Fixed/0 Variable to 50 Fixed/5 Variable. The Scythe has been slightly outpacing other weapons at high level play, so we have opened more areas of opportunity to play around two of its most common attacks. The Neutral Light now has less coverage at the front and rear of the swing, opening it to more counterattacks from mobile opponents or allowing easier escape options. In the aerial kit, the Ground Pound now has greater Recover time, so players may more easily counterattack or land on stage upon successful evasion. Scythe Neutral Light: Improved Hitboxing to better match the animation, resulting in slightly less horizontal coverage at the end of the swing. Scythe Ground Pound: Increased Recover time from 3 Fixed/17 Variable to 3 Fixed/20 Variable. Given the Neutral Light’s lengthy Hit Window, we have decreased the Recover time on miss so it may better serve as a tool to quickly check an opponent’s advance during the neutral game. We have also slightly increased its Damage to better match similar options on other weapon kits. Gauntlets Neutral Light: Decreased Recover time on miss from 0 Fixed/20 Variable to 0 Fixed/17 Variable; Increased Damage from 13 to 14. The Neutral Air is an incredibly quick option against opponents floating above you, however the Blasters could rotate into other attacks too quickly for most kits to answer. We have increased the Recover time on miss to allow for greater counterplay against trigger-happy opponents. Blasters Neutral Air: Increased Recover time on miss from 0 Fixed/14 Variable to 2 Fixed/14 Variable. Ada has received a number of improvements to her Hitboxing and Hurtboxing, among other adjustments to better match her stats, as we continue to update senior Legends. Scarlet’s Neutral Hammer proved to be able to attack too quickly in too large of an area, so we have reduced the grounded coverage near the front and removed the grounded coverage at the rear of the attack, allowing users to more easily spot dodge or dodge through this attack. It also has more Recover time to allow for greater advantage when successfully evading this attack. Other notable changes include Yumiko’s Neutral and Side Bow now have greatly increased evasion and priority while she is traveling to more easily challenge opponents. Scarlet Neutral Hammer: Increased Recover time from 17 to 21; Slightly decreased grounded coverage at the front of the attack; Removed grounded coverage at the rear of the attack. Ada Down Spear: Improved Hurtboxing to better match the animation. Ada Side Spear: Improved Hurtboxing to better match the animation; Improved foot registration, resulting in increased forward travel before the strike; Decreased Force from 65 Fixed/56 Variable to 65 Fixed/53 Variable; Angle of knockback is now slightly more horizontal. Ada Neutral Spear: Improved Hurtboxing to better match the animation; Improved Hitboxing to better match the animation; Decreased Force from 75 Fixed/63 Variable to 70 Fixed/54 Variable. Ada Side Blasters: Improved Hurtboxing to better match the animation; Improved Hitboxing to better match the animation, resulting in less vertical coverage on each shot; Improved foot registration, resulting in a greater backstep after the final blast; Decreased gaps between each shot in the Hit Window; Increased Hit Window from 21 to 25; Decreased base Damage from 31 to 26; Decreased Recover time from 21 to 15. Xull Side Axe: Increased base Damage from 23 to 27. Yumiko Neutral Bow: Updated Hurtboxing, resulting in increased priority and evasion when traveling. Yumiko Side Bow: Updated Hurtboxing, resulting in increased priority and evasion when traveling. For a limited time, a new Avatar & Weapon Skin for Orb! Fixed a bug on Steam, Xbone, and PS4 where the right stick would move instead of taunt if the “Improved Joysticks” option was unchecked. Orb is a new Weapon made from stone and magic! The Orb is a new Weapon brought into Valhalla by Dusk! He molded it from stone and magic, crafting it during his imprisonment. The Orb introduces a new mechanic to Brawlhalla. By using the Down Air, the Orb can bounce off of hard surfaces, like walls or platforms. Dusk is the first Legend wielding Orb, but not the last! More Legends using the Orb will be released in the future. Rayman’s price has been reduced. Rayman is now priced at 5400g! Skysail and Synthwave Chest now available with exclusive Skins! Square off against your opponent in this hard hitting KO fest. Chew through your foe’s 5 Stocks with damage cranked up to an insane 300%! Send your challenger into orbit before they know what hit them. First to 5 KOs wins! Improved memory clean up on consoles by making it multi-threaded, allowing it to complete its task faster. Forced memory clean up to occur when loading a match and reduced its frequency, so it is unlikely to occur during a typical match. This allows for smoother gameplay framerates on consoles (less likely to drop multiple frames). Nintendo Switch: Added a separate Handheld Camera Mode system setting that is used in place of the normal Camera Mode when the Switch is undocked. By default, Handheld Camera is set to the new Close camera setting. Added a Close camera setting, intended for handheld play but available on all platforms. Choosing random Defeat Taunt will now randomly choose between all owned Taunts instead of defaulting to only Facepalm. Improved UI render performance of player names during gameplay. Adjusted the art of Rocket Lance during side light active frames to better visually match the threat of the move. This will be on by default for all players on all platforms. If you’re on Switch, this will be different. To revert back to the way the sticks used to work, uncheck the “Improved Joysticks” box. If the box is unchecked, the joystick interpretation will be straightforward with each of the 4 directions functioning completely independently from each other. If your stick is at least halfway in a direction, that direction will be considered held. If the box is left checked, the joystick interpretation will try to be smarter about how it determines your stick direction. First, it will take the stick’s position relative to your thumb into account since what most people input as “up” on the stick is slightly affected by where the stick is relative to the base of their thumb. Fixed UI bug causing the arrows above players to not reflect team color when playing on console. Fixed UI bug causing bot names to not correctly update when changing Legends during the Strikeout game mode. Mammoth Megafan Sidekick from the BCX 2018 Pack now has the correct in-game display name. Fixed minor graphical issues with Rayman’s head in character select. Fixed bug causing the Kung Foot game mode icon to not correctly appear during character select. In Kung Foot, fixed some rare visual bugs where the ball’s spinning would change direction or accelerate without reason. Fixed a replay bug where the marker on the replay timeline wouldn’t update correctly in game modes that force teams to be on. Fixed a rare bug that could cause the pause menu to display over the scoreboard and lock up the game as a result. Rayman and his friends join the fight – Yeah!! Rayman joins the Legends of Brawlhalla! Alongside him, Globox and Barbara will be Epic Crossover Skins for Cassidy and Brynn, respectively. We’re celebrating Rayman and his friends joining the fray with a new game mode, Kung Foot, a new Team Photo Taunt (where players can taunt with you), new KO Effect, new Podium, +250 Gold to your daily log-in bonus, and so much more! Items from this event will remain available in Mallhalla even after the event has ended. New Game Mode – Kung Foot! Rayman brings with him a brand new insanely fun game mode! High five your partner and get ready to compete in Kung Foot. Anything goes in this fast paced sport as you kick, bash, and slash the ball through the opposing team’s goal. The more you damage the ball the faster it goes. Goooooooooooooal! Rayman has brought along a few treats from the Glade of Dreams to Mallhalla! Team Photo – “Say Cheese!” Bonus: Players can taunt nearby to pose with you! Our very first team Taunt! Only one player needs to have the Taunt in order for others to participate. Even your opponents can join in on the fun! The Rayman event will also feature a UI Takeover and +250 Gold per login! Find Rayman items by following the lums in Mallhalla! Introducing Rayman as a new Legend! Our newest game mode debuts in the BotW. Join the fun with this 2v2 team game that’s all the rage in the Brawlhalla sports scene. You can learn the ropes with a friend or queue solo – don’t worry team damage is off. First team to score 5 goals wins! Optimized the Graveyard Shift Podium to run better on consoles. Fixed a bug causing the room privacy lock icon to display on the wrong part of the screen when playing on Steam. Additional notes: this update is only for players who got early access to the game. This is the launch version for everyone else.